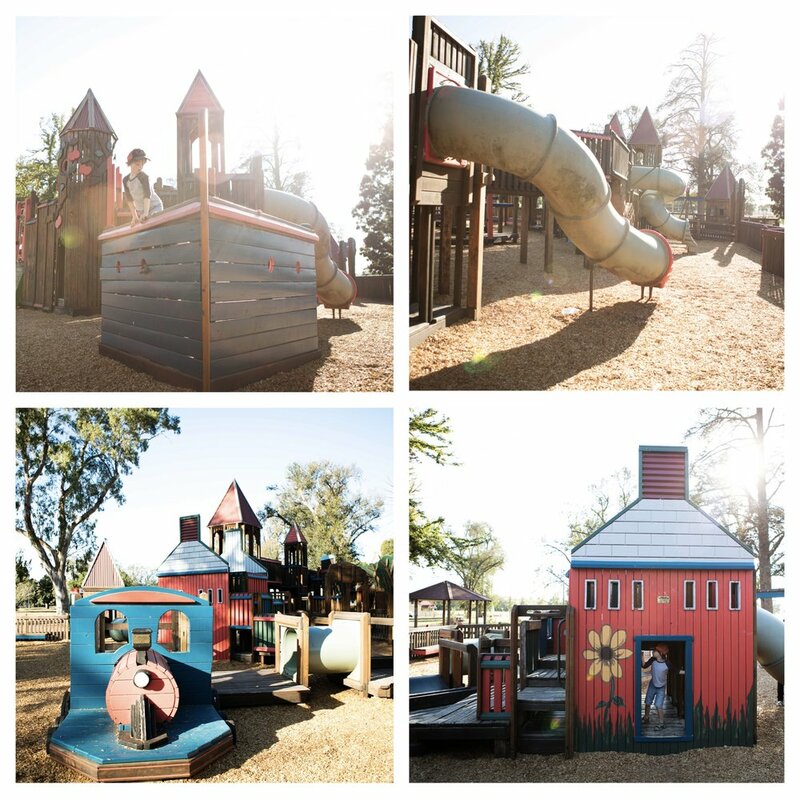 There is something really special about adventure playgrounds. Maybe it's the fact that they are predominantly made with timber, and have all those nooks and crannies, or maybe it's because they feel a bit like a fairytale castle with all the turrets? It's definitely the fact that they are usually planned, designed and built by the local community and are made with love, with hidden (and not so hidden) references to the local area. This playground in particular is so pretty with it's lovely paintings, and colours, and wooden carved trees (representing the avenue of honour). There are so many things of the kids to play on, and under, and through. There is even a separate section for 5 and under. Maddingley Reserve in itself is a great park to explore with an outdoor gym a few metres away and also a smaller playground. Mamma's special mention: PICKING! Bacchus Marsh has so many options to pick your own fresh fruit when in season - try Paynes Orchards, The Strawberry Forest and Naturipe!